In financial accountingFinancial Accounting TheoryFinancial Accounting Theory explains the "why" behind accounting - the reasons why transactions are reported in certain ways. This guide will help you understand the main principles behind Financial Accounting Theory or accrual accounting, accruals refer to the recording of revenuesSales RevenueSales revenue is the starting point of the income statement. Sales or revenue is the money earned from the company providing its goods or services, income that a company has earned but has yet to receive payment for, and the expensesFixed and Variable CostsFixed and variable costs are important in management accounting and financial analysis. Fixed costs do not change with increases/decreases in units of production volume, while variable costs are solely dependent on the volume of units of production. This guide teaches an analyst the fixed vs variable cost methods that have been incurred but that the company has yet to pay. In simple terms, it is the accounting adjustment of accumulated debits and credits. Such accounting practices, therefore, have a general impact on the handling of the income statement and the balance sheet. The affected accounts include accounts payableAccounts PayableAccounts payable is a liability incurred when an organization receives goods or services from its suppliers on credit. Accounts payables are expected to be to be paid off within a year’s time, or within one operating cycle (whichever is longer). AP is considered one of the most liquid forms of current liabilities, liabilities and non-cash-based assets, goodwill, future tax liabilities, and future interest expenses, among others. 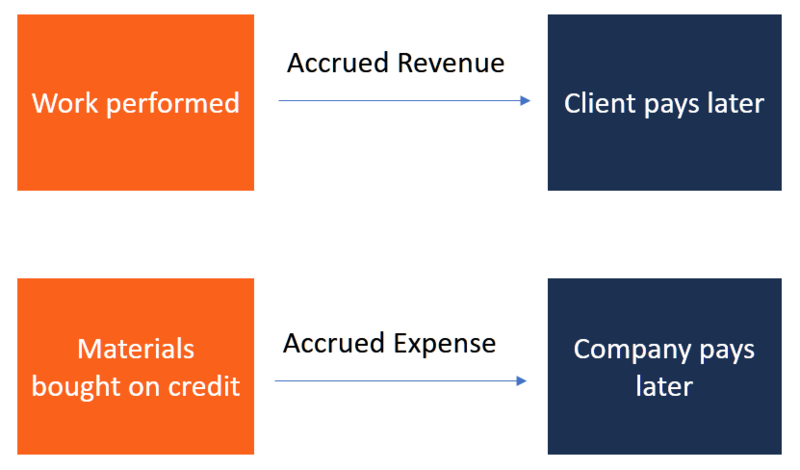 What is an Accrual (in plain English)? What exactly is an “accrual”? If companies received cash payments for all revenues at the same time when they were earned, and made cash payments for all expenses at the time when they were incurred, there wouldn’t be a need for accruals. However, since most companies have some revenues in the year that were earned (i.e., good/services were delivered) but for which payment was not received, they need to account for those unpaid revenues. The same applies to expenses. If companies incurred expenses (i.e., received goods/services) but didn’t pay for them with cash yet, then they need to be accrued. The purpose of accrual accounting is to match revenues and expenses to the time periods they occurred in, as opposed to the timing of the actual cash flows related to them. In accounting, accruals in a broad perspective fall under either revenues (receivables) or expenses (payables). Accrued revenues are either income or assets (including non-cash assets) that are yet to be received. In this case, a company may offer services or deliver goods, but does so in debt. An example of accrued revenue is electricity consumption. An electricity company usually provides the utility to its consumer prior to receiving the payments. The consumer in return uses the electricity and the meter counts the reading. Then, at the end of the billing period, the consumer is billed. During the month, the company pays its employees, it fuels its generators, and it incurs logistical costs and other overheads. The electricity company needs to wait until the end of the month to receive its revenues, despite the during-the-month expenses that it has. Meanwhile, it must acknowledge that it expects future income. 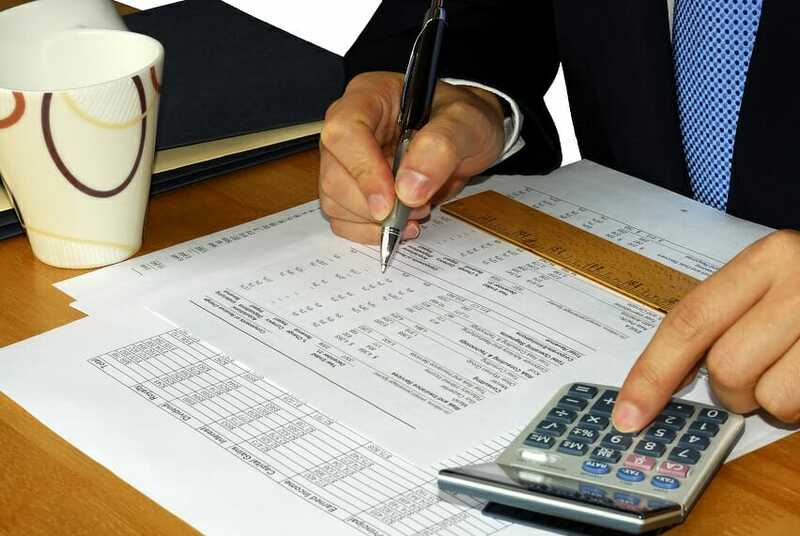 Accrual accounting, therefore, gives the company a means of tracking its financial position more accurately. For instance, at the end of the month, after receiving the payment from its debtors (customers), receivables go down, while the cash account increases. Interest expense accruals – Interest expenses that are owed, unpaid, and/or yet to be received invoice(s). Suppliers accruals – Operating expenses for goods or services rendered by a third-party supplier. Wage or salary accruals – These include salaries owed to employees who are paid before the end of the month but who work for the rest of the month without having received their full earned wage. Let’s take an example of a start-up company (Y) with an employee (Joe) who is under a cliff vesting plan, and who is also getting a vesting schedule incentive after five years of commitment. Joe becomes faithful, hardworking, and diligent in the course of working for the company. He makes it through the first year and thus receives his cliff vesting bonus, and qualifies for the subsequent five years of the rest of his vesting schedule bonuses. But during this period Joe has not been receiving his bonuses materially, as would be the case with cash received at the time of the transaction. Instead, Joe’s bonuses have been accruing. Parallel to that, company Y’s liabilities have also been increasing. In this case, it’s obvious that Company Y becomes a debtor to Joe for five years. Therefore, to carry an accurate recording of Joe’s bonuses, the company must make a bonus liability record to record these bonus expenses in credit. However, on paying back Joe’s owed bonuses, the company must relieve itself from the liabilities, consequently reducing its cash account and liabilities. Prepaid expenses differ from accrued expenses in one significant way – in the case of prepaid expenses, the company pays upfront for services and goods. For example, the company may pay for its telephone and internet services before it actually uses these services. Although it’s a proactive gesture to clear transactions, nevertheless, it puts the company at a disadvantage by tying its capital upfront, unlike in the accrued expenses case. Despite accruals adding another layer of accounting information to existing information, it changes the way accountants do their recording. In fact, accrual helps in demystifying accounting ambiguity relating to revenues and liabilities. As a result, businesses can anticipate revenues while keeping a future liability in check. The outcome allows accountants to measure how much a company owes in the short term and also record the expected revenues appropriately. Also, in specific instances such as goodwill assets (assets without a specified cash value attached to them), accruals assist accountants in identifying and monitoring potential cash flow or profitability problems and in determining and delivering an adequate remedy for the problem. To record accruals, the accountant must use an accounting formula known as the accrual method. The accrual method enables the accountant to enter, adjust, and track as-yet unrecorded earned revenues and incurred expenses. Therefore, for the records to be usable in the financial statement reports, the accountant must adjust journal entries systematically and accurately, and they must be verifiable. Such meticulous accountability means that the recording procedure must adhere to accounting’s double entry principle. That is, a record of the accrued liability account must appear on the balance sheet. Also, a record of the accrued assets account must be evident on the balance sheet and income statement. Even though both accrual accounting and cash accounting methods serve as a yardstick of performance and the economic position of a company in a given fiscal year, financial transactions in accrual accounting are reported as they happen – both debits and credits. However, the recording of transactions in cash accounting occurs only on cash transactions, which means a company records its transactions only when goods are received or paid for in cash. The Financial Accounting Standards Boards (FASB) has set out Generally Accepted Accounting Principles (GAAP) in the U.S. dictating when and how companies should accrue for certain things. For example, “Accounting for Compensated Absences” requires employers to accrue a liability for future vacation days for employees. Learn more about this example at FASB’s website. International companies outside the U.S. follow IFRS standards. To learn more, visit their website. Depreciation ExpenseDepreciation ExpenseDepreciation expense is used to reduce the value of plant, property, and equipment to match its use, and wear and tear over time. Depreciation expense is used to better match the expense of a long-term asset to the revenue it generates.